Express delivery is a crucial business function these days. For one reason, we all live in “The On-Demand Economy.” Fueled by Uber and Amazon Prime, most customers expect anything they want can be with them in a short span of time. This applies to other services such as Netflix, Favor, etc. 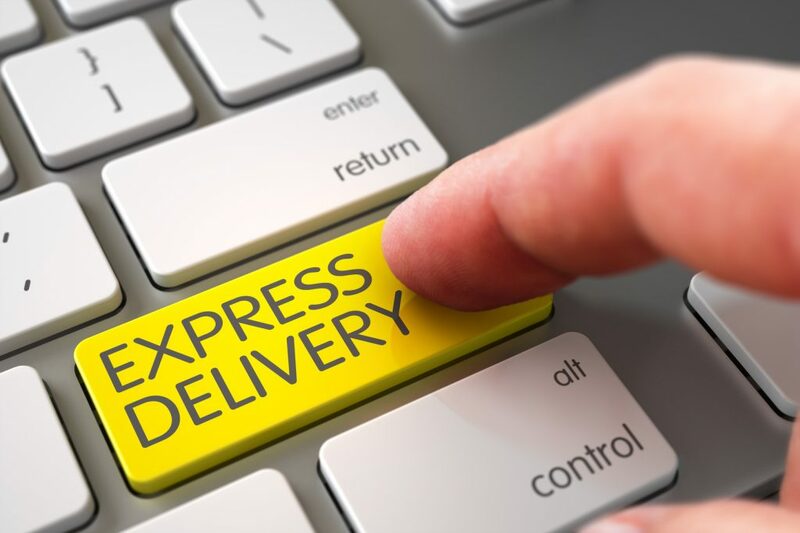 The first and most obvious benefit of express delivery, then, is that customers by now expect it. If you can’t meet that bar and a competitor can, you’ll be in trouble. Developing companies need to focus on growth goals. Handling the logistics of delivery and documents internally can become a distraction. An express delivery company handles that side of the business for you, and you focus on delighting customers and broader strategy. In most industries, the cost of acquiring a new customer is far greater than the cost of retaining one. Your best business approach, then, is to retain as many customers as possible. Easier said than done, right? Right. But it’s simpler than you think. Being seen as trustworthy goes a long way to customer retention. If a customer orders from you the first time and gets express delivery, and everything is all good inside the order, that bar of trust has been established. That’s a big step towards still having them as a customer 2-3 years later. People sometimes believe express delivery has to cost an arm and a leg, but it doesn’t. Even if you think it’s a little pricey, consider what was mentioned above about the On-Demand Economy and customer expectations. Modern consumers are used to paying slight premiums to get things in their hands faster. Complex inventory systems can destroy fast-growing businesses. Piling up stocks, watching over it and applying a suitable inventory management system requires space, time, and money. Work with an express delivery system to make this simpler. Oftentimes, the express delivery company will handle a lot of the logistical elements and save you space, time, and money. Most business these days is about effective partnerships. This is but another example. We understand that cost is important to you. It’s important to everyone. We’re a family-owned business, and this allows us to hold costs so that budget-minded businesses can compete in the modern ecosystem, but also not worry drastically about price. We think differently about express delivery. We have the lowest driver turnover in this region. It’s a major source of pride for us. Simply put, our drivers need to earn a living. As a result, we never undercut our competitors’ prices at the expense of our drivers’ earnings. Maintaining our competitive pricing while ensuring the well-being of our drivers is an essential ingredient in our recipe for success. Our drivers are bonded, uniformed and accessible by radio at all times. Our two-way radio system means drivers can talk directly to our dispatchers, office staff, and driver to driver. This means full transparency and better express delivery. If interested in the model and needing express delivery, contact us. Previous Post Shipping Valuables: How to Ship Fragile Materials Next Post How Does 2-Day Delivery Work?